Former Hawaii Gov. Linda Lingle is returning to her alma mater this spring to teach an upper-division course on public policy in California State University, Northridge’s Department of Political Science. 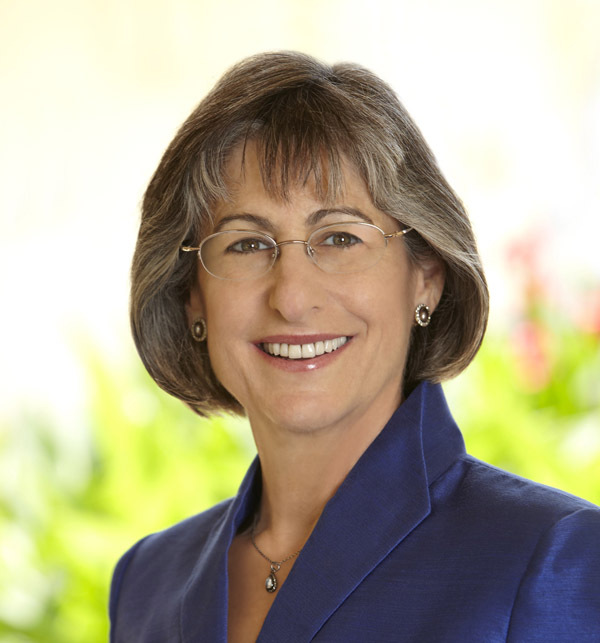 Lingle said she hopes to tap into her contacts and experience from more than 30 years as a public servant, including eight as Hawaii’s governor, and give the more than 20 students in the senior seminar, Political Science 471A, a taste of what it truly means to create public policy, whether at the local, state or federal level. “There is so much cynicism today,” she said. “And, there are people, including some who go into politics, who seem to feel ‘if you disagree with me, you’re a bad person and your motives are bad.’ That’s not the way it should be. “There are so many people who enter public service because they believe they can make a positive difference in people’s lives, but we forget that,” she continued. “ If you are entering the public policy arena, you need to be able to communicate and put aside differences when necessary. “I want my students to be effective public policy makers,” Lingle said. Harry Hellenbrand, CSUN’s provost and vice president for academic affairs, said university officials were “tremendously pleased” that Lingle agreed to teach at Northridge this spring. “It is a great chance to learn the craft of governance from someone who has governed well and fairly in an incredibly diverse state,” Hellenbrand said. Lawrence Becker, chair of CSUN’s Department of Political Science, said Lingle’s presence will be a unique opportunity for students. Lingle graduated from CSUN with a degree in journalism in 1975, and she credits that education for her success as a public servant. Upon graduation, she moved to Hawaii and began publishing a community newspaper, The Molokai Free Press. In 1980, she decided to run for a seat on the Maui County Council because she felt the concerns of the public were not being heard. She went on to serve five two-year terms on the council, three representing the island of Molokai. In 1990, she was elected mayor of Maui County and served two full four-year terms. She was elected Hawaii’s governor in 2002 and again in 2006, despite being a Republican in a mostly Democratic state. “I loved my time at CSUN,” she said, adding that she started out as a political science major, but switched to journalism when she couldn’t figure out how she would put a political science degree to use in the job market. She was also inspired by the way journalists impacted national events during Watergate. “How to zero in on the essence of what is important, how to listen to all sides of an issue objectively — those are things that came from my journalism training at CSUN, and those are some of the most valuable skills I have used during my career in public service,” Lingle said. Spring semester classes don’t start until Jan. 21, but Lingle has already been in touch with her students via email, laying out her expectations for the course, including bringing in as many speakers as she can from the worlds of politics and public policy. She also let her students know there will be no tests. Instead, the former governor said grades will hinge on how the students do on three class projects. They will be asked to make written and oral presentations on public policy issues. The students will be able to choose their perspective. They can be lobbyists trying to persuade an elected official to support something, a cabinet member hoping to get the president of the United States to include an issue in the State of the Union address or even members of a community group trying to push forward a project before a city council. Regardless of the role they choose, the students will have to write a two- to three-page memo, no longer, on an issue, outlining the various positions on the subject and their solution to the problem. They will then make a presentation to the class and field questions from the class and Lingle. As the course progresses, the criteria for assessing the projects will get tougher.